Share your Instagram photo stream from a single tab within your app for a distraction free way to promote your brand. Pick the template that best suits your business or start from scratch. Use our branding wizard to pull in colours and info from your website and Facebook. 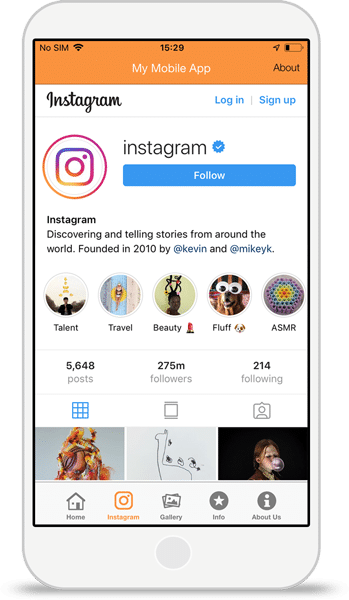 Select the Instagram tab to allow app users to access your feed through your app. Get your mobile app on the iOS and Android app stores in just a few simple steps.